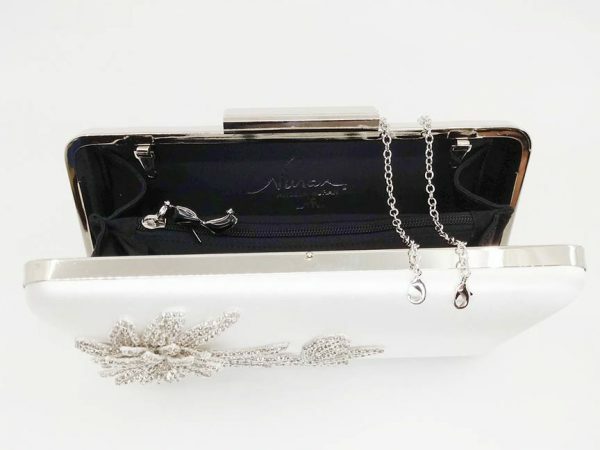 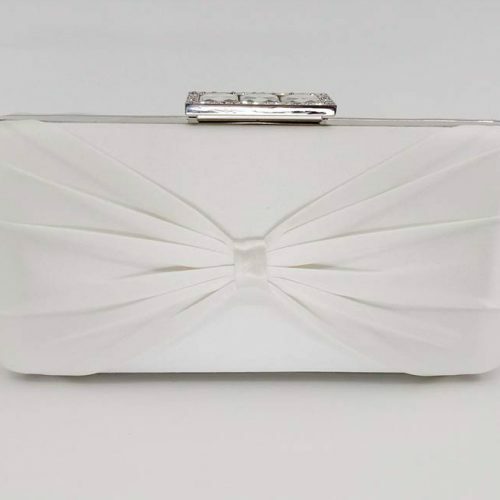 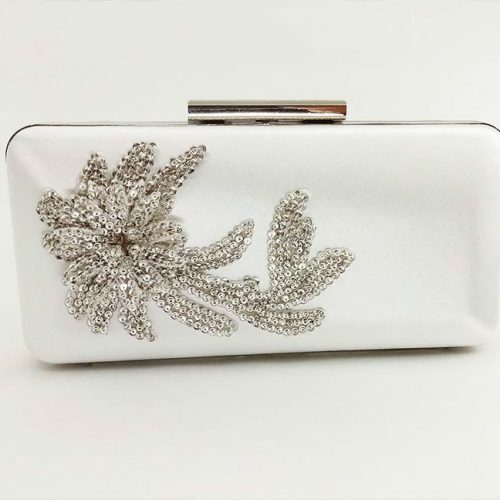 Bridal clutches and evening bags are essential to sit at the table keeping make-up, cellphone, pills, keys, cash, you name it, within reach and provide a place to stash stuff as the night passes. 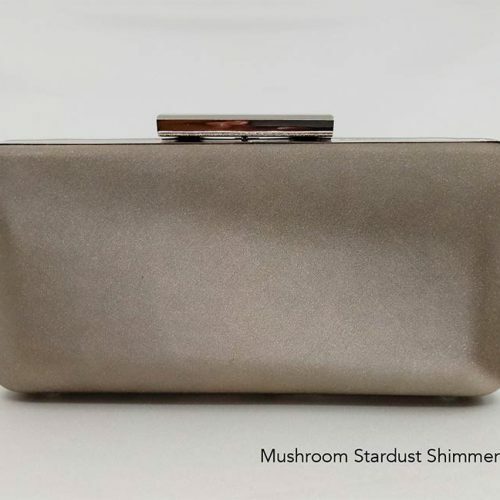 They’re shamelessly photogenic. 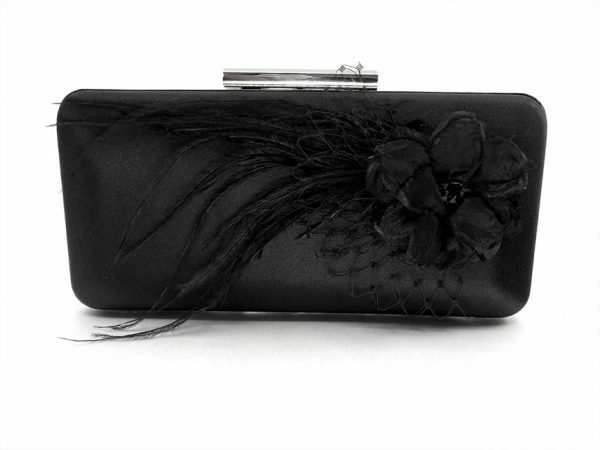 Black silk clutch with Laura Jayne hand made, beaded flower adornment with netting and feather plumes.